Introduction – Are You Following Me? Picture the scene: you’re just about to reach the top of the mountain. The golden hour lighting is absolutely sublime. As you reach the peak, you’ve got the framing just right to capture the dramatic sunset. But suddenly you realize you can’t actually get the epic shot of yourself that you envisaged because you’re too busy controlling the drone. To overcome this, drone manufacturers have developed automation features that take out a lot of the guesswork and are making aerial photography more and more intuitive. Drones that follow you let you make the most of your adventure without the worry of crashing your beloved drone because you’re too focused on where you’re going. Let’s move on to look at how follow me drones actually work, what the difference is between models, and which is comes out on top. 1. How Do Follow Me Drones Work? Drones that follow you are able to autonomously track a target, without having to be piloted. Currently there are two main technologies that are used in the follow me feature, most commonly found in quadcopter drones, and they work in different ways to allow drones to track objects autonomously and accurately. The earliest follow me drones were programmed to follow a GPS transmitter or Ground Station Controller (GSC) that users had to wear. This created a virtual tether between the user and the drone. This GPS transmitter is usually built into the remote controller, which then becomes required for the drone to follow you. DJI first introduced follow me drones in 2015 with the Phantom 3 series. Its vast array of Intelligent Flight Modes include Follow Me, Course Lock, Waypoints, Home Lock, and Points of Interest. As with other GPS-based drones, the Phantom 3 requires a remote controller and the DJI GO app to enable Follow Me mode. So why use GPS tech? The tracking accuracy of GPS tech is unrivaled, providing much better precision than other techs. However, a tracker/transmitter is always required for the system to work and obstacle avoidance is not a feature. Detecting objects, people, and obstacles through data captured by a camera has been used in robotics since the early 2000s. Due to its high requirements on computing, battery life, and safety, the tech has only been used in drones for the last few years. The drone cameras and sensors collect image and sound data, which is then transmitted to the processor. With sufficient data, the processor identifies the background parts of the scene and locates any moving objects. As programmed, the aircraft starts to automatically follow the moving object. Thanks to recent technological advances, this whole three-step process can now be completed within a matter of seconds on the latest models. Besides speedy response time, vision recognition also has the advantages that it is able to track all types of moving objects, including cars, bikes, people, and animals, and does not require an external GPS tracker, instead using compatible software/app on the controlling device. Recognition accuracy, however, can be affected by lighting conditions and the contrast between areas in direct light and those in shadow. To overcome the limitations of GPS and vision recognition systems, DJI combined the two technologies into the ActiveTrack system, realizing the best of both approaches. 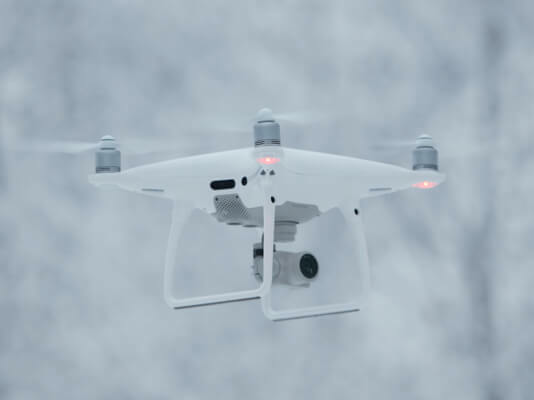 The ActiveTrack feature was first introduced with the Phantom 4 series and represents the evolution of the Follow Me mode found on previous drones, vastly improving accuracy and user experience. It allows the user to mark and track multiple moving objects on the controlling device’s screen without the need of an external tracking device. Let’s move on to look at the best follow me drones, how their features differ, and which is best for specific scenarios. 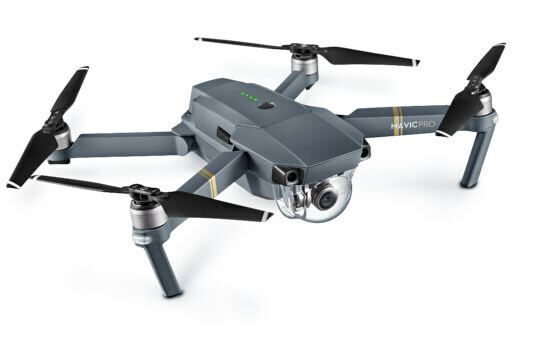 The Mavic Air is one of the newer additions to the DJI family of drones and includes all the latest features in a small, portable package. 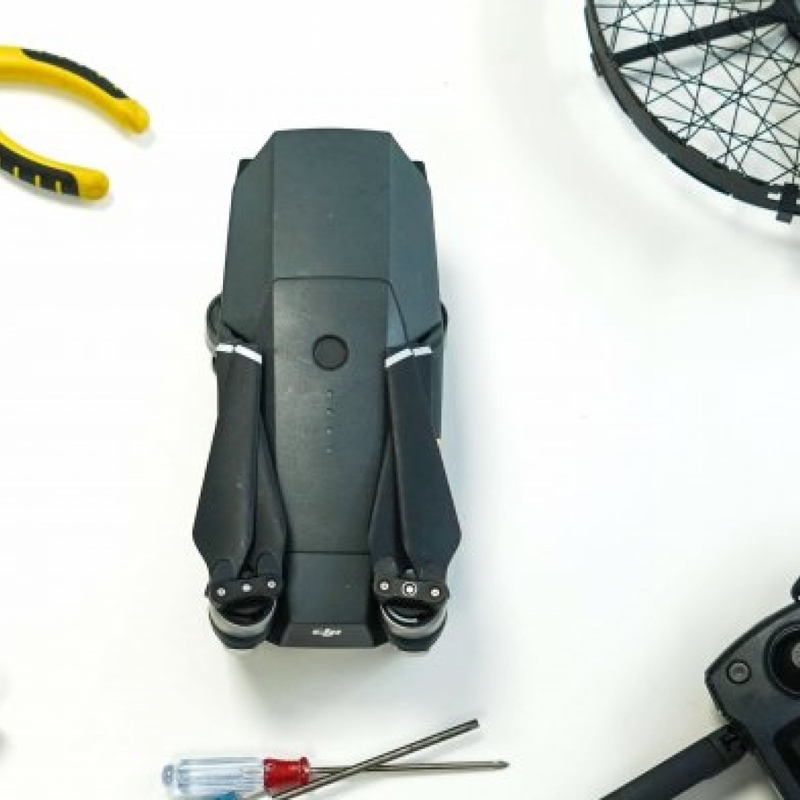 Weighing in at a mere 430 g the Mavic Air truly is a go-anywhere drone and is perfect for travel, outdoor sports, and adventure. Perfect for: New or experienced pilots looking for a drone that is very portable and feature-rich. Trace: The aircraft tracks the subject at a constant distance. The joystick on the remote controller or the slider in DJI GO 4 are used to fly in a circle around the subject. Parallel (Profile): The aircraft tracks the subject at a constant angle and distance from the side. The joystick on the remote controller is used to fly in a circle around the subject. Spotlight: The aircraft will not track the subject automatically, but keeps the camera pointing at the subject. The remote controller is used to maneuver the aircraft, but orientation control is disabled. The left joystick and gimbal dial is used to adjust the framing of the subject. 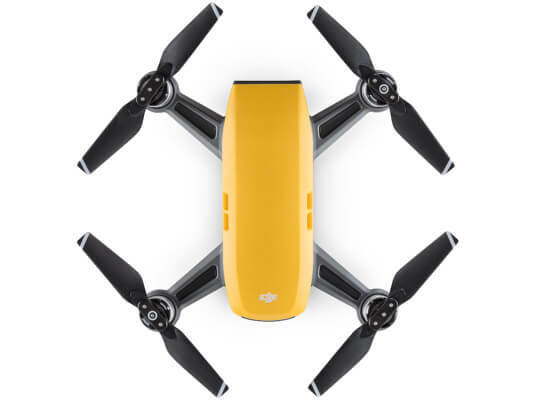 As part of the feature, the Mavic Air features forward, backward, and downward obstacle avoidance sensors that detect objects all around the drone. If an obstacle is sensed during a flight in an Intelligent Flight Mode, the Mavic Air will stop, hover, fly backwards, and ascend until it detects that the obstacle has been avoided. Additionally, Advanced Pilot Assistance Systems (APAS) can be enabled in the DJI GO 4 app, which allows the drone to follow a flight path according to the user’s commands. In this mode, the Mavic Air actively bypasses obstacles. 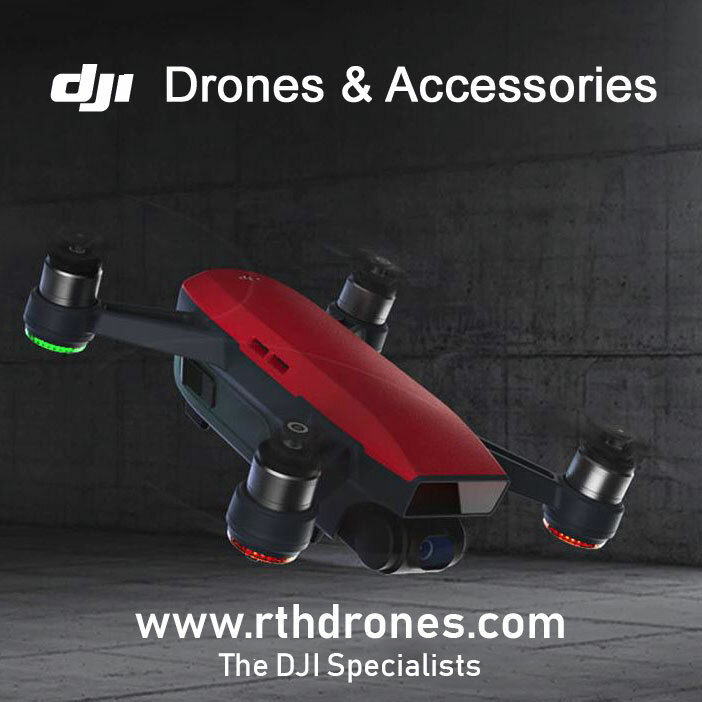 This flagship drone offered the perfect balance between portability and features when it was released, and remains one of the most popular DJI drones today. It was one of the first consumer drones to feature 4K video in a package that could be taken anywhere. Max flight time: 27 min. Profile: The aircraft tracks the subject at a constant angle and distance from the side. The joystick on the remote controller is used to fly in a circle around the subject. Terrain Follow: The aircraft’s downward-facing sensor is used to record and maintain the flight height. 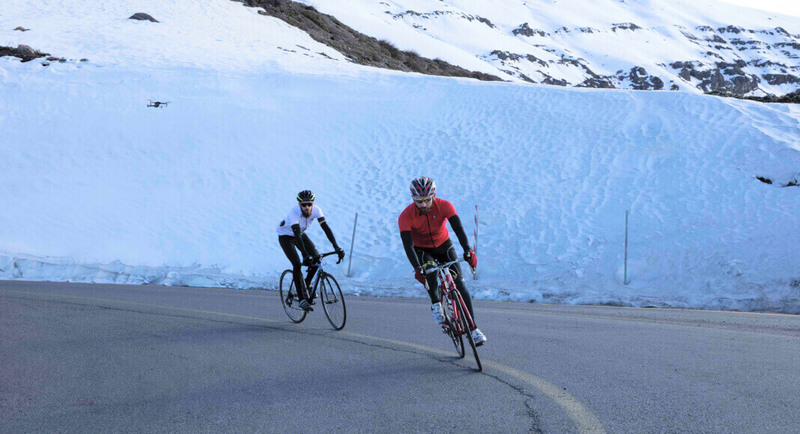 Designed to work only when ascending slopes of no more than 20 degree. Thanks to the Mavic Pro’s vision recognition system, it can sense and avoid obstacles both in front of and below the drone. When an obstacle is sensed in an Intelligent Flight Mode, the drone stops, hovers briefly, and ascends until it is at least 16 ft (5 m) above the obstacle. It then continues flying along the original flight path at this greater height. Even though Spark is the baby of the DJI family, weighing in at only 300g, it punches way above its weight in terms of features. The FaceAware feature recognizes who you are, prompting Spark to take off from your palm. This means that from powering on to takeoff, it’s just a matter of seconds. When it comes to obstacle avoidance, Spark packs a surplus of sensors. Its 3D sensing forward-facing system incorporates a camera and 3D infrared module to sense and avoid obstacles. When an obstacle is sensed in an Intelligent Flight Mode, the drone stops, hovers briefly, and flies backwards until the obstacle is no longer sensed by the 3D sensing system. The drone then ascends vertically for around five seconds and continues flying along the original flight path at the updated altitude. The more professional-oriented Phantom 4 Pro V2.0 boasts a 1” CMOS sensor that can shoot 4K 60fps video and 20MP photos, making it an excellent option when quality results are a must. 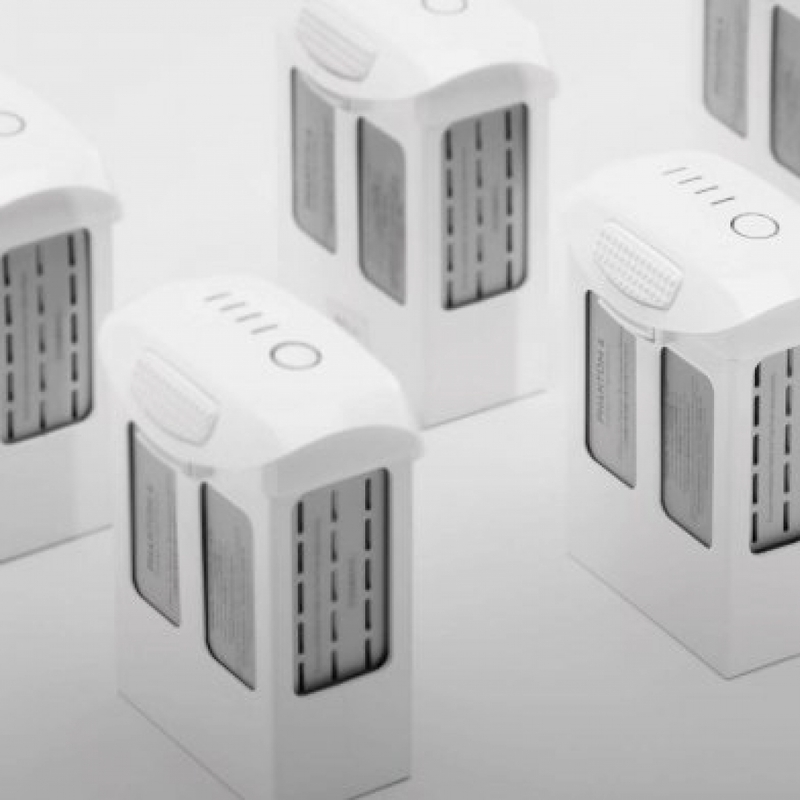 It also uses the latest OCUSYNC long-range transmission tech that supports both 2.4 GHz and 5.8 GHz wireless transmission frequencies, ensuring a reliable and stable connection in environments with interference issues. The powerful vision recognition feature in the Phantom 4 Pro V2.0 comprises three stereo and two ultrasonic sensors on the front, rear, and back of the aircraft. Additionally, on both sides of the drone there is a 3D infrared sensor for even more accurate sensing capabilities. Its Intelligent Flight Modes use the primary camera to identify obstacles up to 984 ft (300 m) in front of the aircraft and plan a safe flight path accordingly. Once an obstacle is detected nearby, the drone stops, hovers briefly, and then ascends vertically to at least 16 ft (5 m) above the detected obstacle. It then continues the original flight path at the new altitude. The Inspire 2 represents the best for professional-level performance and results. Its image processor and camera are independent from the aircraft itself and support RAW videos when shooting with the Zenmuse X5S. Lossless video in CinemaDNG and ProRes formats, as well as DNG RAW photo burst shooting, are available when used together with the DJI CINESSD. These, plus the features below, combine in the Inspire 2 to give options and quality results that just aren’t possible with other gear. Perfect for: Filmmakers, from independent creators to established Hollywood directors. 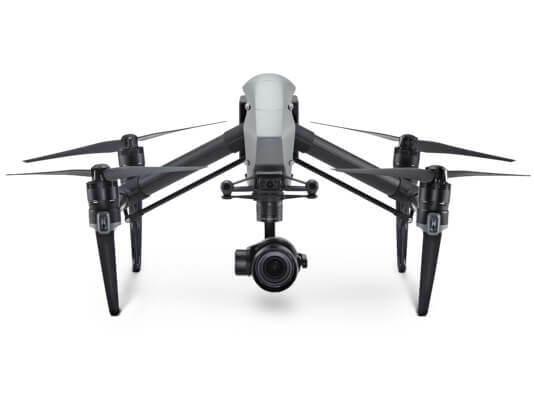 The Inspire 2’s vision recognition system includes two stereo vision sensors and two ultrasonic sensors on the front and bottom of the aircraft. It also features two infrared modules on the top of the aircraft so as to avoid obstacles from above. The obstacle avoidance system works in the same way as the Phantom 4 Pro. Together these features make the Inspire 2 a truly go-anywhere option when you want to capture scenery in a unique and epic way. Flight altitude: In follow me modes, a certain minimum flight height may be required in specific drone models. We recommend setting the drone’s flight altitude to be higher than surrounding obstacles. Fly in an open space: Although the drones can avoid obstacles in front of and below the aircraft using Intelligent Flight modes, they are unable to avoid obstacles above, beside and behind the drone. Therefore, fly the drone in an open space and make sure that there are no obstacles to the side or behind the drone. 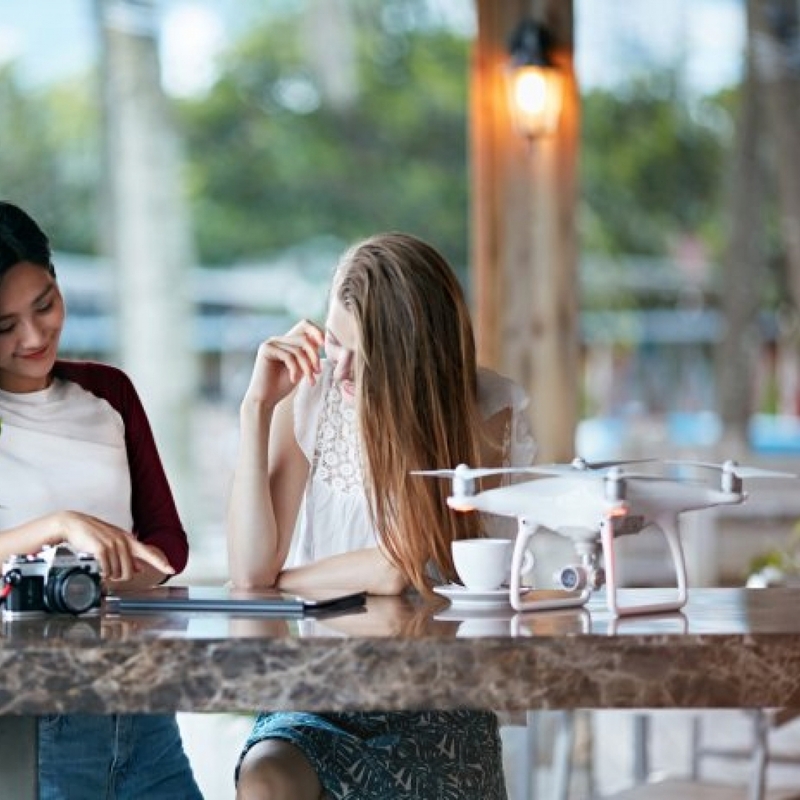 Be sure to fly in P-mode: DJI’s ActiveTrack feature requires both the GPS signal strength and the vision recognition system, which is only available when flying in P-mode. When you switch the flight to S-mode, the aircraft only uses GPS to locate itself. The forward and backward vision systems (when equipped) are disabled, the aircraft is not able to sense or avoid obstacles, and Intelligent Flight modes are unavailable. The aircraft automatically changes to Attitude mode (ATTI mode) when the vision systems are unavailable or disabled and when the GPS signal is weak or the compass is experiencing interference. In this case, the aircraft is not able to avoid obstacles and is a potential flight hazard. Battery status: Remember to keep an eye on battery levels and warnings. Do not try to use the follow me modes on low battery. We suggest flying in ActiveTrack mode with at least 30% battery power remaining. The application of vision recognition technology represents a significant step in the UAV industry towards the realization of intelligent and automated features, and has enhanced flight experience and safety. However, since the follow me feature is still dependent on environmental conditions, it is important to adhere to the usual flight safety points. For a truly unique and intuitive flying experience, give a drone that follows you a go.